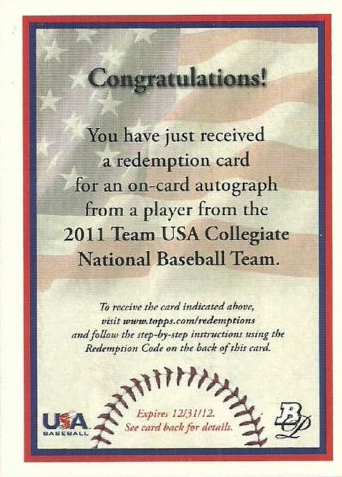 If you have opened a box of 2011 Topps Platinum Baseball Cards you just might have received a redemption card that looks like this. 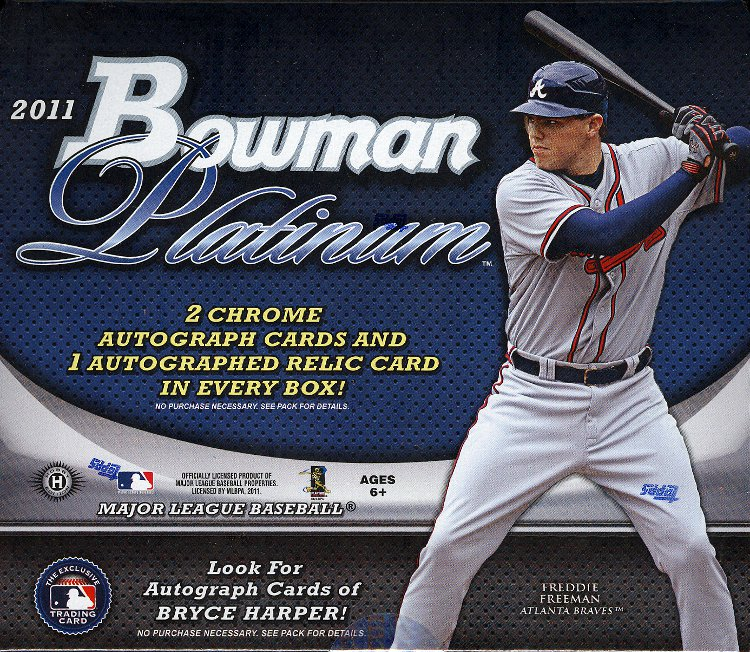 These redemptions can be found at a rate of 2 per 12-box hobby case. 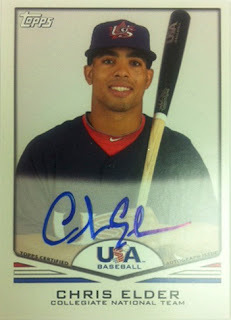 You’ll be able to redeem the card for one hard signed 2011 USA Baseball Collegiate National Team player that will be randomly selected from the list below. 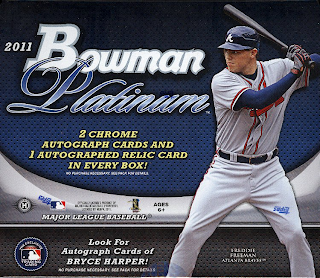 Here is what the cards look like.